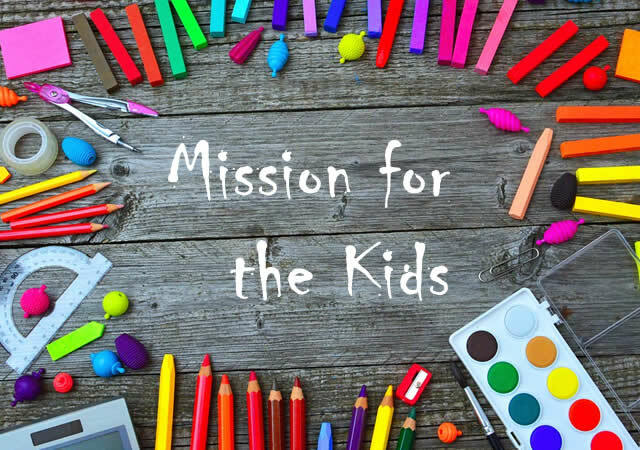 The Mission for the Kids charity team building activity combines the positive effects of a team building event with a charitable cause. In this activity your team will connect with students in your community as you help them prepare for school as well as connecting with their fellow team members while they learn valuable team building skills. The Mission for the Kids team building activity is fun, challenging, and it has direct implications for positive change in the work place. The Mission for the Kids activity features hands-on activities, group-focused goals and lots of laughter. The desired outcome of the activity is that it will give participants the opportunity to grow, learn, practice new skills, and generally better themselves as individuals and as team members. The end goal of the Mission for the Kids team building activity is to help children prepare for school. Many children cannot afford school supplies such as pencils, paper and backpacks. The aim of this charity activity is to help them by preparing school supply kits. In the process the team learns about the value of preparation. They learn how it can improve their performance at work, where the preparation phase is often left out of how projects get done. The charitable aspect of The Mission for Kids activity serves as an additional motivator for teams to pursue their team building goals. They will learn that success means something other than ‘winning’ – it means a better donation. The donation means a whole lot more because the team put so much into making it happen. This team building activity is stimulating, challenging, charitable and fun.